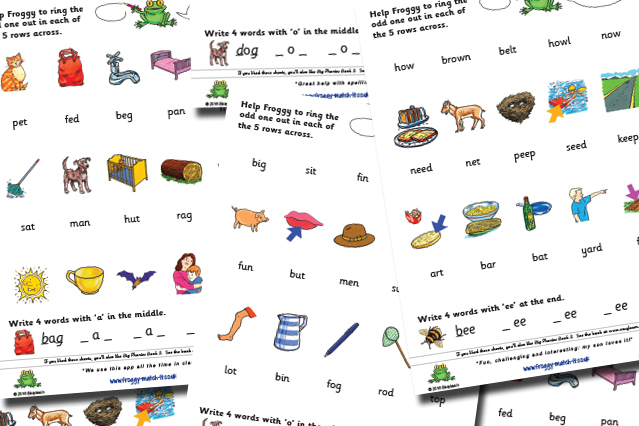 This month’s free sheets look at various phonic skills and aim to ensure the child says and looks at the sounds in words and finds the ‘odd one out’. The tasks involved concentrate mostly on the vowel sounds, including both short and long vowels. The sheets complement levels 1 to 4 of the app, but can be used by any children learning to read and spell with phonics. Get the Froggy’s Odd One Out sheets here. There are lots of other free sheets you can download: have a look.